India has put forth unprecedented achievements in the last few years, where India has not just started moving forward, but leaping forward. The country's Ease of Doing Business ranking has jumped from 142 in 2015 to 77 in 2018; it has also developed the world's largest solar power plant and is the home of the largest R&D operations outside of the home country for some of the biggest technology companies globally. It is now time for India, to take the lead in another parameter – our environment. 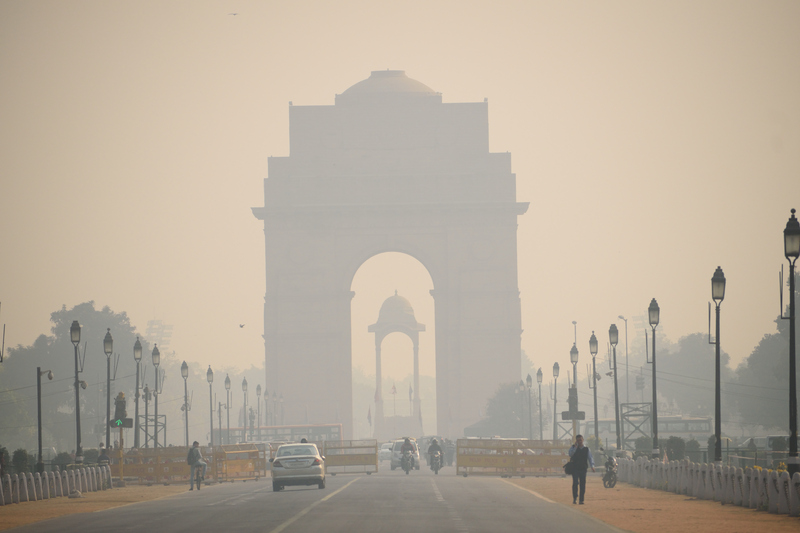 Over the past few years, the level of pollution in Delhi in the winter months has hit hazardous levels because of the high presence of fine particulate matter in the air. This pollution has resulted in nearly 15,000 people dying prematurely in 2016 alone in the city and has reduced the average life expectancy of the residents by over 6 years. Tackling this problem cannot be achieved by trying to resolve a single source of pollution but through a strategic and consistent effort across all the sources. Through this article, I wanted to highlight the various activities, which are contributing to this environmental condition of the city and the various technologies or innovations that can be used to tackle each source. Unfortunately, with the data currently available the percentage allocation of each of these sources to the total pollution is still debatable. However, each still has a significant impact on the air pollution of the city. Over the past few years, there has been an increasing focus on the stubble burning that takes place in Punjab and Haryana during October that moves into Delhi and significantly deteriorates the air quality. However, while this has been a long-lasting practice of the farmers, it has only now resulted in a problem for Delhi due to certain policies that have been passed by Punjab and Haryana. Prior to 2009, paddy in these states was typically grown in early April and rice, being a 120-day crop, was then harvested in mid-August. During this time of the year, the wind direction in north India primarily moves north-west and hence moves away from Delhi. However, to prevent the depleting water table and desertification of the state, being caused by the heavy requirement of water for the cultivation of rice, the State Government passed a policy (Punjab Preservation of Subsoil Water Act) in 2009 mandating a minimum date to sow the seeds, to line up with the monsoon season and hence requiring less underground water. While 1kg of rice grown in early April required 4,500 litres of water, by lining this up with the monsoon season, this requirement reduced to 1,500 litres. Unfortunately, this delayed sowing of the paddy crops resulted in the harvesting taking place in the month of October, at which time the wind pattern changes from north-west to south-east and moves the particles from Punjab into Delhi. While the changes required from a policy perspective are debatable, we will focus on how to resolve the current situation. In 2017, the number of registered vehicles in the city stood at 10.5 mn, of which there are 3.1 mn registered cars and 6.6 mn registered motorcycles and scooters with the balance comprising of trucks, goods carriers, three-wheelers and buses. Additionally, there are out of city trucks, which constantly come to the city, some of those that are against the NGL's notification barring buses and trucks over 15 years from plying into the capital. Delhi is a city constantly re-developing itself, expanding and improving its infrastructure. However, the cost of this is the soot and cement (smaller particles) and grit and wood (larger particles) that are released into the environment. In addition, there are a number of industries and plants at the outskirt of Delhi that release harmful emissions into the air. During the end of October and early November, not only does the burning of the paddy fields result in Delhi's environmental situation, but this time of year is when Diwali takes place. Despite active public campaigns and the courts intervening weeks prior to the festival, there continue to be sufficient patakas that are burst, which rapidly deteriorates the air quality. Unfortunately, the firework traders usually have already purchased their stock by the time the notification is put forth by the courts. There is a need to come up with a consistent and clear position on the ban of patakas so as to now even allow the purchase of the fireworks by the traders in the city. Delhi's environment situation cannot be resolved by fixing a single source of the pollutants but through a coordinated exercise against every cause. The first step before fixing any problem requires the identification of it. While the causes of the pollution are largely understood; how each factor interacts with each other, what is the primary source of pollution in different areas within NCR along with understanding the impact of the different efforts which are being taken to tackle this issue requires in-depth statistical analysis. There are multiple sensors across the city that measures environmental factors such as wind speed, direction, pollutants and toxins in the air. An integrated system that also provides details on the policy being implemented or efforts being taken, can be developed that publicly provides this information through an API in real time. This will enable researchers across the world to analyze the various factors and provide solutions to the real causes of the issue. While Delhi has passed certain notifications banning vehicles above a certain age from plying on the roads, there are still plenty of vehicles defying this. AI systems have already been developed and being utilized globally, which have the ability to read the license plate number of vehicles. Such a system integrated with the Department of Motor Vehicles database of RC's would enable officials in real time to keep track of the vehicles defying this policy and especially those entering the city. The added benefit of this system is that with an automatic electronic record of each vehicle defying the cities policies, it should reduce the chances of corruption at the ground level. While there have been efforts by the neighbouring states to discourage farmers from burning their paddy straw, the majority of small farmers are helpless due to the costs associated with the collection and disposal of the straw. To drastically change this prevailing practice, would require an economically viable opportunity, where the farmers not only can dispose of this straw without any cost but actually make money from it. There are few solutions, which can achieve this objective. Few IIT-D graduates have developed a technology, which can convert rice straw into pulp and further into biodegradable homeware. They will purchase paddy straw for INR 5,000/acre and then sell it to small entrepreneurs who would make it into the pulp. With a high margin end product, it would end up being an economically viable model for the farmer, the startup along with the entrepreneurs. Similar ventures need to be encouraged and incentivized. While plants that utilize paddy straw as fuel for creating energy are coming up in Punjab, it would take time, before it reaches the capacity of the supply of the straw. However, internationally there are a number of such plants which purchase the paddy straw for this purpose in addition to utilizing the straw for pulp. Prices for this straw can be seen on global platforms like Alibaba at over a $100/tonne. The collection and export of this straw would enable further business opportunities for the farmers and interested parties. China has already developed and been utilizing its smog tower in Xian, which is able to clean 10 mn cubic meters of air daily. 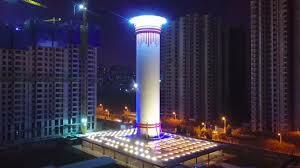 Essentially, this device is an industrial size air purifier that is used to filter the particulate matter outside. There are even few startups in India that are developing similar technologies to improve the air quality. One such startup, Kurin Systems have designed a 40x20 foot smog tower that will have the capacity to clean 32 mn cubic meters of air per day. These towers if strategically located at the borders of the city along with heavy traffic areas could bring down the particulate matter of the wind flow before it even enters the city. Currently, there are four dumpsites in Delhi, spread over 70 acres and measuring 65 meters in height. In addition to the other causes of pollution, this growing epidemic is also a major environmental concern of the city. 3 of the sites, though declared as exhausted long time ago, are still used for dumping garbage. Currently, 10200 tons of solid waste is generated every day, of which 5,300 tons are disposed of through 3 waste to energy plants. There are 2 new plants with a capacity of 3,500 MT that is being set up along with a capacity expansion 1,500 of the existing facilities, which is expected to be completed by 2020. However, certain technologies, which are already being used by multiple countries globally can be used to reduce this trash and increase recycling. AI-based robots have already been developed, which are able to distinguish between different types of recyclable material from waste and separate them. This would assist in solving one of the biggest issues from the amount of trash that is generated – sorting. Example of this can be seen in the following video - 'AI robots Clarke Learn to Sort Trash'. Countries like Sweden have even perfected their waste to energy to systems, till a point where less than 1% of their waste actually ends up in a landfill. Additionally, due to the overcapacity of their waste to energy plants, Sweden has actually begun to import waste from other countries, resulting in a new revenue source for them. Construction of local infrastructure and private buildings is a constant in any major metropolitan city across the world. A growing demand for infrastructure coupled with the heavy usage of existing facilities requires construction to take place. It is estimated that 70% of the buildings that will exist in India by 2030, are yet to be built. However, by some estimates, this construction is one of the leading sources of pollution in the city, with very little policies in place to maintain certain environmental standards. Within the city, it is a common sight to see open piles of construction materials, construction sites, which have not been fenced off and trucks carrying these materials, which are also not covered. 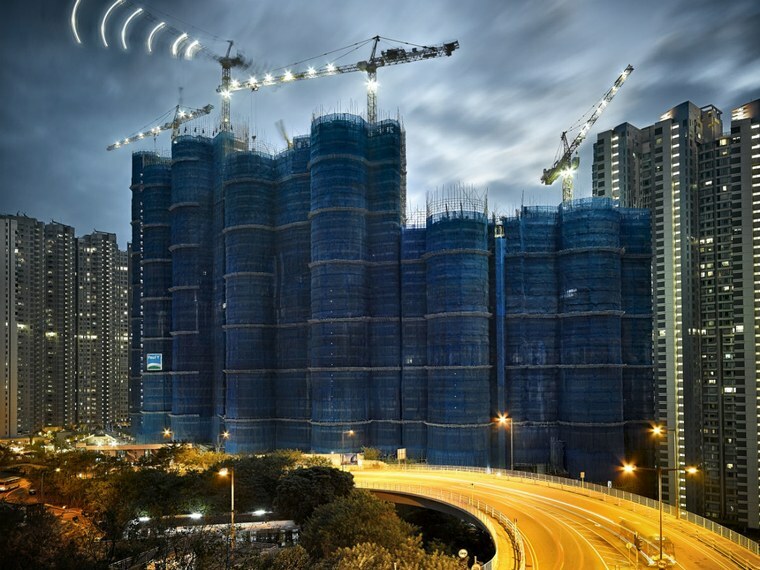 In countries like Hong Kong, a netted mesh across the construction area can often be seen, this would reduce the amount of material, which is blown into the air. While some of the developers in Delhi, do follow these practices, more often than not, in an effort to save their margins these practices will be ignored unless mandated to follow. Cloud seeding is the practice of creating artificial precipitation to take place by dispersing substances like salts into the air through aircraft. This technology is already being used by China, US, Israel, South Africa and Germany for years. India is a land of constant surprise, where through sheer will, people have the ability to achieve the unimaginable. Over the past few years, we have made rapid developments across ease of business, renewable energy, taxation, logistics and infrastructure. But it is now time, to take action and to show the world that the country has the ability to not only manage this pollution problem but in a similar manner, take leaps and bounds forward to improve it.